NATOHMS Karlstad comes alongside the pier in Trondheim prior participating in Exercise Trident Juncture, NATO’s largest war games in decades. NATO is about to kick off its largest military exercises since the Cold War, which will include more than 50,000 troops from 31 countries. The military exercises, known as Trident Juncture 2018, will be held from Oct. 25th – Nov. 7th in Norway. One of the countries participating in the exercises is non-NATO member Sweden, which has grown increasingly concerned about neighbouring Russia, especially after Moscow apparently targeted it during a simulated nuclear strike in 2013. In May, Sweden handed out a pamphlet to its citizens titled “If Crisis or War Comes,” instructing them how to defend the country in case of war. It also purchased $US1.3 billion worth of Patriot missile defence systems in November 2017, and even held a large joint military drill with the US two months before that. 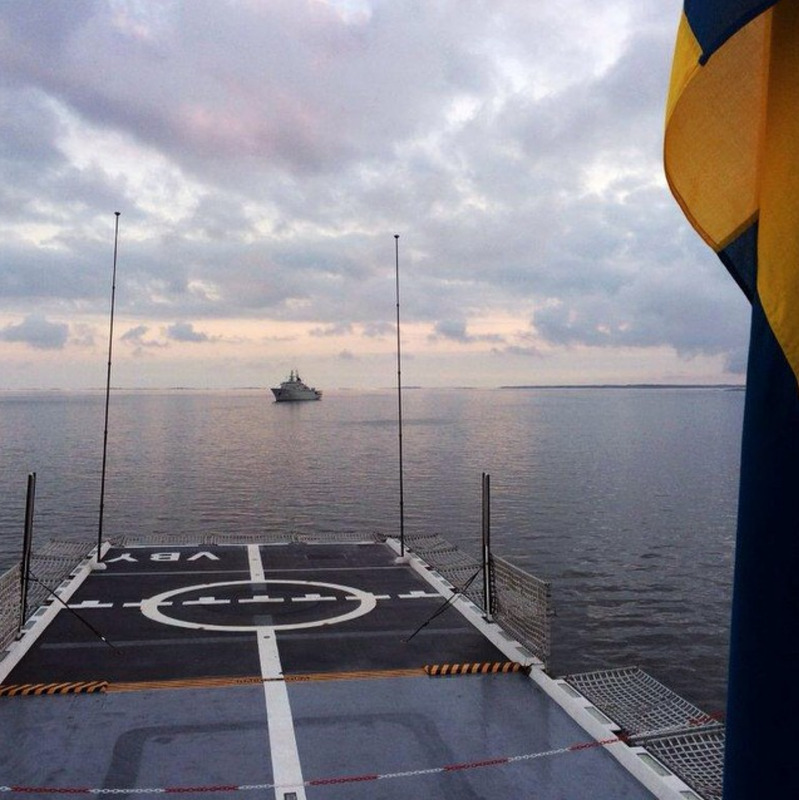 Now, Sweden is bringing about 1,900 troops to Trident Juncture 2018, along with two stealthy Visby-class corvettes, the HMS Karlstad and HMS Nyköping. 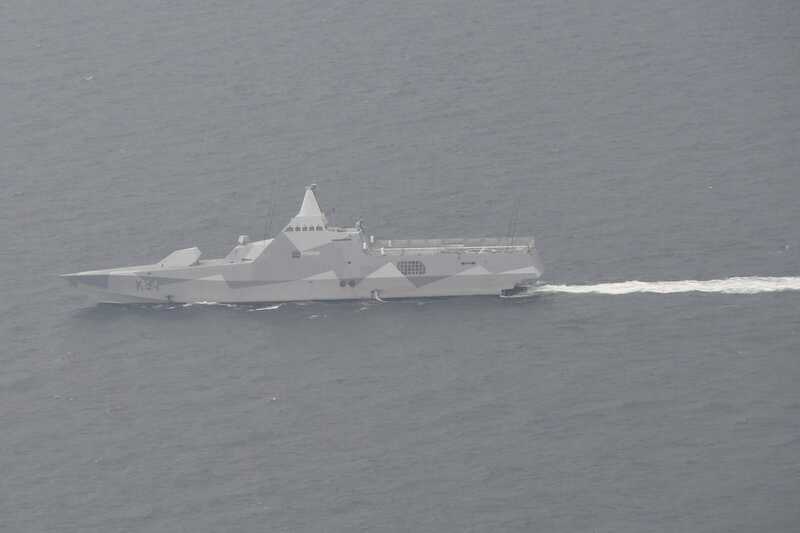 The two corvettes will be integrated into Standing NATO Maritime Group One, which is basically NATO’s standing frigate force, Lt. Jimmie Adamsson, a public affairs officer for the Swedish Navy, told Business Insider. Here’s what the corvettes can do. 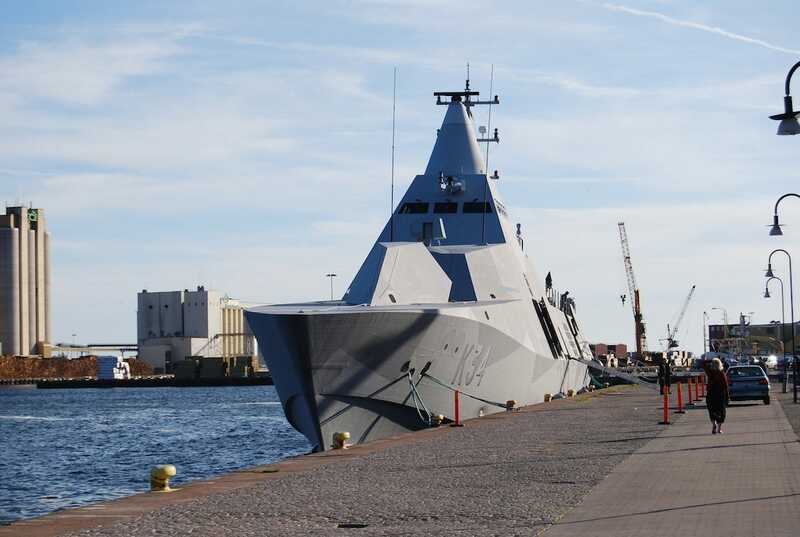 Sweden has five Visby-class corvettes, with the first being delivered in 2002 and the last two, the Karlstad and Nyköping, in 2015. US NavyThe Swedish Visby-class corvette HMS Nyköping (K34) transits the Baltic Sea during BALTOPS 2017. 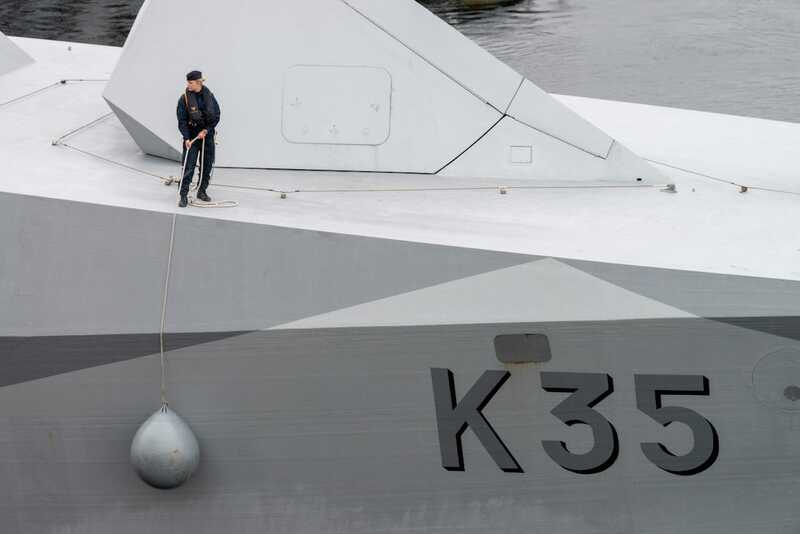 The corvettes are mainly designed for anti-submarine warfare and mine countermeasures, but the Karlstad is used more as an attack and anti-surface warfare vessel. 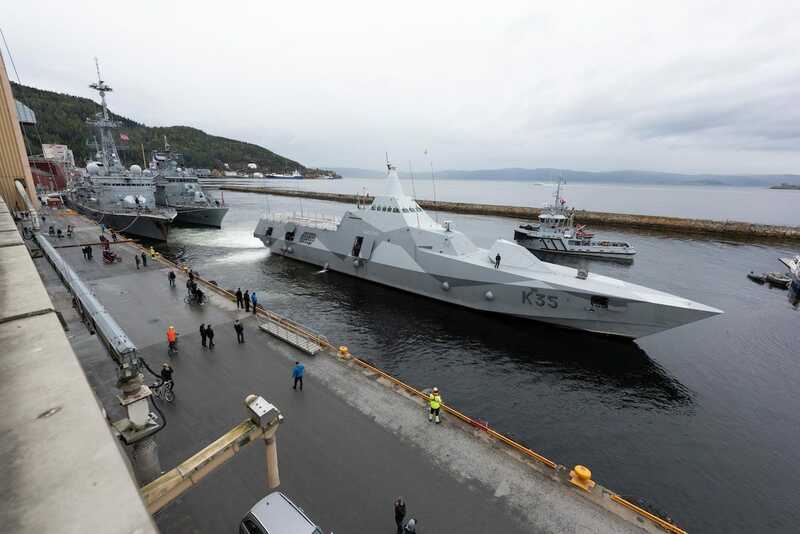 Adamsson said that the Karlstad and Nyköping will conduct anti-sub, anti-surface and anti-aircraft warfare exercises during Trident Juncture 2018. Wikimedia CommonsThe HMS Nyköping docked at an unknown date. 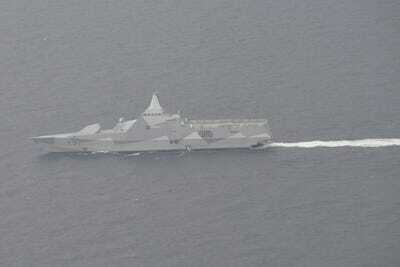 The corvettes are armed with eight RBS 15 Mk2 anti-ship missiles, and four 400mm Type 45 torpedo launchers. They also have a maximum speed of more than 40 mph. Wikimedia CommonsThe Swedish corvette Nyköping (K34) docked in the Aura River during the Northern Coasts 2014 exercise public pre-sail event. They also have one Bofors 57mm Mark 3 gun mounted on the front (underneath the stealth cover below), which has a range of more than 10 miles. 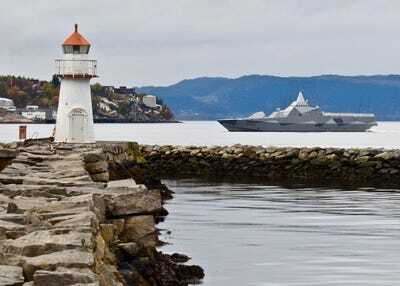 NATOA Swedish sailor holds a buoy fender while HMS Karlstad comes alongside the pier in Trondheim (Norway) for a port call prior to NATO Exercise Trident Juncture 2018. But Sweden will probably only practice firing the 57mm gun during Trident Juncture 2018, Adamsson said, including coastal bombardment or firing at targets towed by aircraft. NATORoyal Swedish Navy corvette HSwMS Karlstad arrives in Trondheim, Norway for a port visit prior to Trident Juncture 2018. The corvettes also have one small helipad, which can carry one lightweight AgustaWestland A109M multi-role helicopter. Swedish Armed ForcesThe flight deck of the HMS Visby. 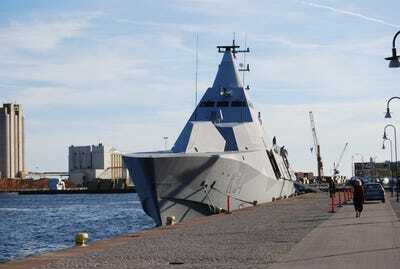 Adamsson said that the Swedish Navy has thus far been happy with the Visby-class corvettes. They have yet to see combat, and were delivered later than expected, but the stealth technology has proven capable in all aspects. NATOHMS Karlstad comes alongside in Trondheim prior participating in Exercise Trident Juncture 18. 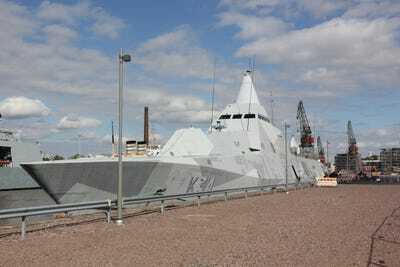 The Visby-class is designed to minimise radar signals, optical and infrared signatures, magentic signatures, and more.